Vice President Leni Robredo is now officially the chair of the Liberal Party (LP). 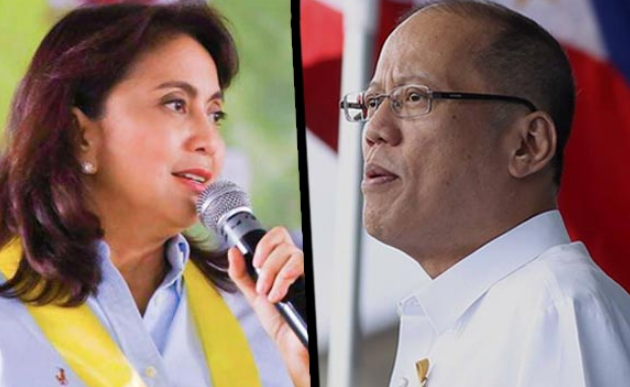 This after the party's national executive council ratified on Thursday the party chairmanship of Robredo, as well as the party presidency of Sen. Kiko Pangilinan. Former president Noynoy Aquino was also given the title of chairman emeritus. In a speech, Robredo called on LP members to rebuild the party and return to its roots. "Siguro iyong araw na ito, tapos na iyong pahinga, 'di ba?" she said. "Parang nagpahinga tayo ng isang taon, pinagbigyan natin, transition. Pero ito, it's time to work. It's time to rebuild the party." Robredo also called on her party mates to remain strong in the face of harsh criticism against the party, especially as many of its members have strongly opposed many of the Duterte administration's policies, such as its controversial war on drugs. "'Pag inisip natin na gaano pa katagal, at inisip natin kung anong kahirapan iyong dinaanan, parang siguro panlulumo iyong nararamdaman," she said. "Pero 'pag binalikan natin iyong kasaysayan ng Liberal Party, parang we were made for these times." [Transition: When we think of how many more years we will go through this, it feels like it's so depressing. But when we go back to the Liberal Party's history, it's like we were made for these times. "Iyong shared aspirations natin — iyong shared values, iyong shared dreams — iyon iyong pag-uumpisahan natin, iyon iyong magbibigay ng inspirasyon," she added. Among those who attended the meeting included Senators Frank Drilon and Mab Aquino: former LP presidents Mar Roxas, Butch Abad, Kit Belmonte, Nene Sato, Teddy Baguilat, Edcel Lagman, Raul Daza, Bolet Banal and former House Speaker Sonny Belmonte. Kiko Pangililan said he remains optimistic that the party will become a "genuine" people's party and will be infused with "new blood". "Sa krisis, sinasabi nila, nariyan din ang oportunidad. At narito tayo humaharap sa oportunidad na palakasin ang ating partido upang maging tunay na partido ng taumbayan." Pangilinan said.